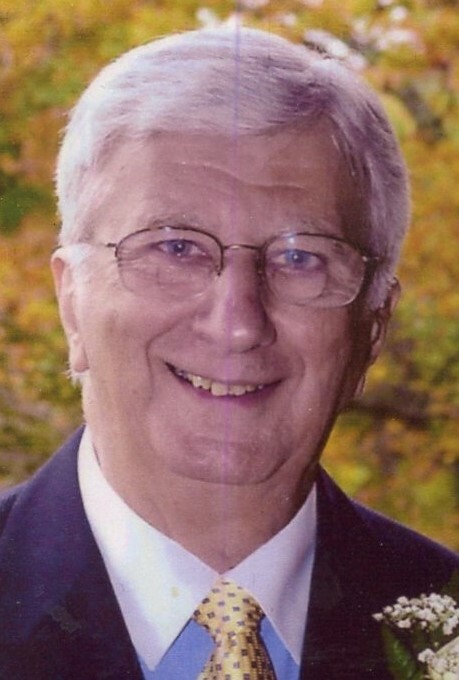 Guy H. Giampapa, age 91, passed away in Wingate of Needham on Monday, March 18, 2019, surrounded by his loving family. Born in his family home on Walworth Street in Roslindale on August 13, 1927, he was the son of the late Salvatore and Angelina (San Giorgio) Giampapa. He was raised in Roslindale and graduated from Mechanic Arts High School in Boston with the Class of 1944. Following graduation, Guy enlisted in the United States Army, proudly serving his country at the end of World War II. He was stationed in Okinawa, Japan with the 1st Signal Troop, 1st Calvary Division. Guy was honorably discharged in February of 1947, after earning the rank of Staff Sergeant. Upon his return home to Roslindale, Guy began taking architecture classes at Northeastern University before earning his certificate from American Television and Film Institute in Chicago. Guy initially found work as a butcher before beginning his long career in television. In February of 1952, he took his first job in television with Channel 7 in Boston, working as a film editor. It was while working at Channel 7, that Guy married his beloved wife, Loretta M. Zopatti, on November 6, 1955 in Saint Patrick’s Church in Roxbury. A few years later, they made their home together in East Walpole, Massachusetts, where they raised their family. Guy’s career began to flourish when he was promoted to film operations manager, the position he held for the remainder of his 25 years at Channel 7. He later took a position with Fox 25 in Boston, working as the film operations manager and starting his own show, Hollywood Backlot. Fourteen years later, Guy took his skills to Walpole Community Television, where he hosted the show “Previews” and also hosted shows on Stoughton Community Television. As a man who enjoyed keeping busy, Guy continued working with American Durofilm until 2012, when he officially retired. In addition to his contributions to television, Guy was active with the Footlighters Playhouse in East Walpole, regularly writing theatrical reviews as a member of Independent Reviews of New England. As a film critic, Guy was tapped for his vote in the Academy Awards and was noted in Who’s Who of Entertainment. When he wasn’t hard at work, Guy enjoyed playing tennis, tending to his flower gardens, and spending time in his woodworking shop. In addition, as an avid reader, Guy read countless biographies and auto-biographies over the years. Beloved husband of Loretta M. (Zopatti) Giampapa. Loving father of Susan M. Giampapa of East Walpole and Michael P. Giampapa and his wife, Irene, of Stoughton. Brother of Margaret Foscaldo of Roslindale and the late Claire Moccia.